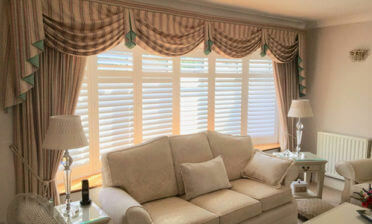 A customer in Beckenham, Kent contacted us looking for some shutters for their kitchen. The shutters were required to fit not only a window above the sink area, but also a sliding door area which leads out to the back garden. 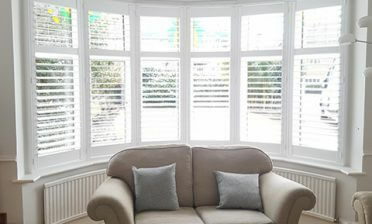 We are often asked to fit shutters to both windows and doors in the same room and due to our bespoke creation of the shutters allow us to keep them all in the same style and finish. The client was looking to have shutters fitted mainly to help with privacy from houses overlooking the garden and kitchen. They were also looking for a more modern and highly versatile window dressing which matched their own specification and design. 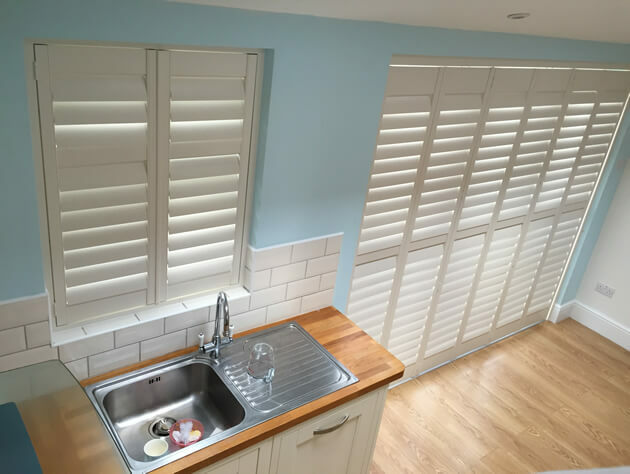 These shutters were fitted by Shaun and were created using material from our Bali Range which are created using an LDF shutter with light weight ABS louvres. Not only a sealed waterproof solution perfect for kitchen areas, but they are also painted in a way that closely resembles the finish of our hardwood shutters! This range of shutters can be finished in 28 painted colours and 20 stained finishes, with the client opting to go for a lovely cream colour with matching hinges. 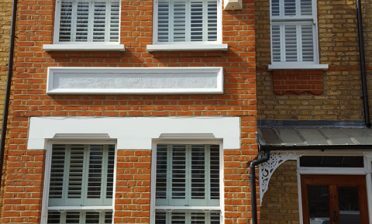 The shutters are all full height in style with a hidden tilt rod system to create the more modern look and feel with thick 89mm louvres. They look great open or closed in this room and blend well with the existing decor.